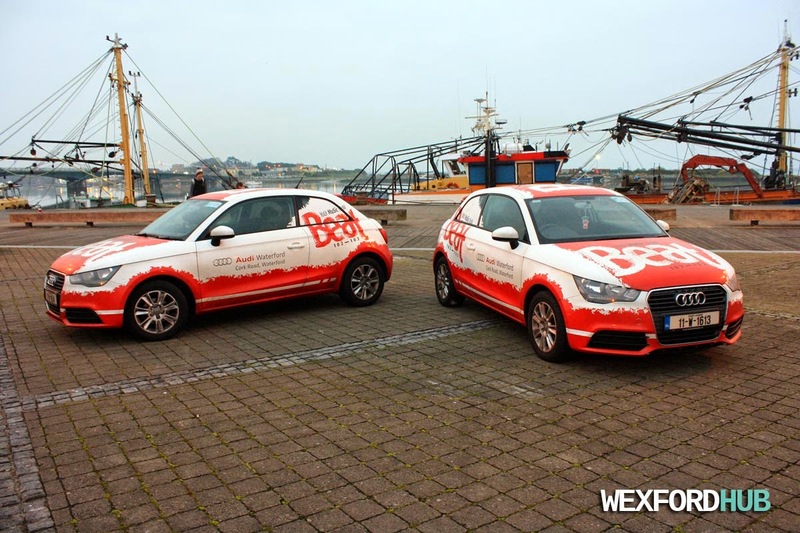 Beat 102-103's "Audi Beat Fleet" were on Wexford's quay front yesterday to mark the opening of the Wexford Winterland festival. 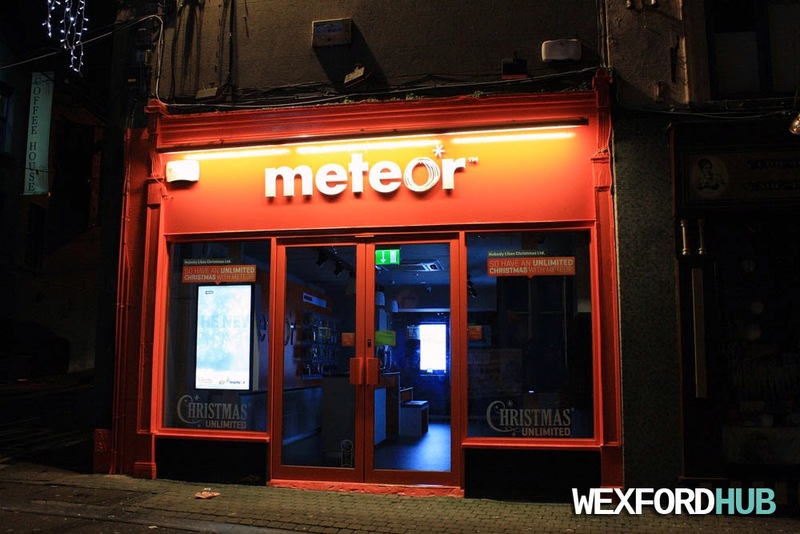 A photograph of the Meteor store in Wexford Town. Located on North Main Street, on the corner with Rowe Street. 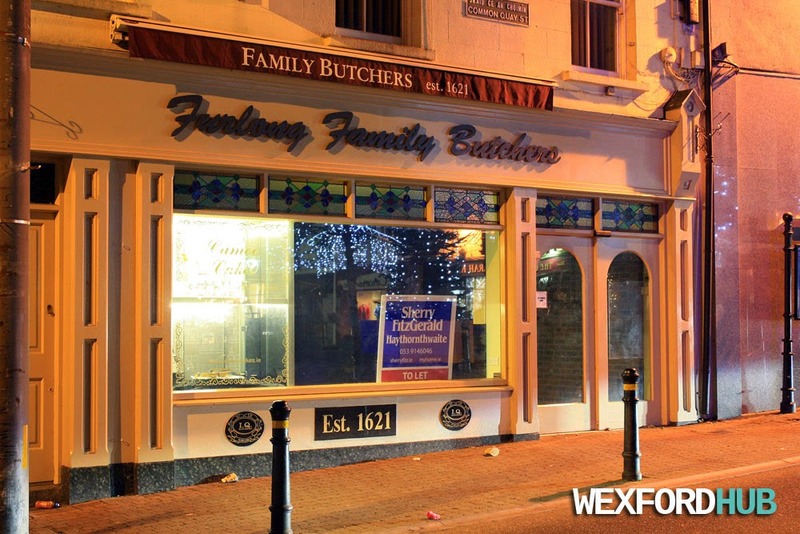 A photograph of the recently-closed Furlong Family Butchers premises, which was situated in the Bullring. Unfortunately, the store was forced to close after the introduction of a nearby traffic management system made it difficult for shoppers to "stop by". The business was established in the 1600s, so it was sad to see such a well-known store close its doors. 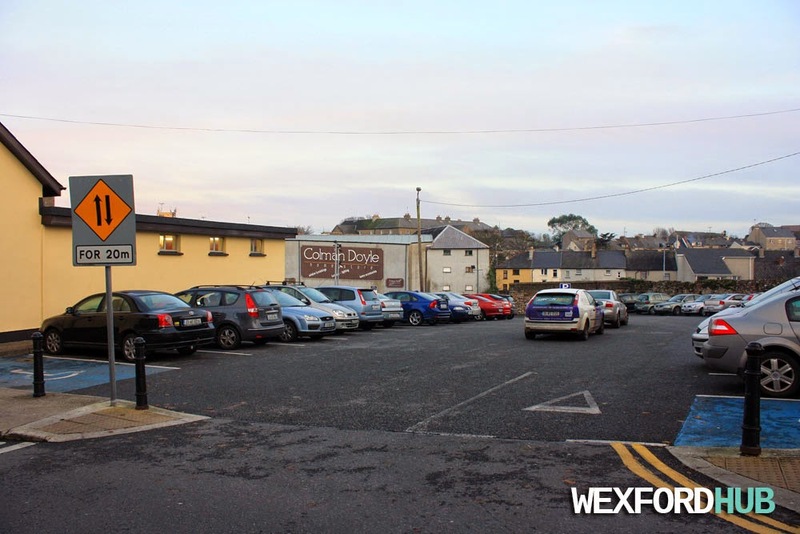 Fortunately, the business is still going, as there are other outlets in Whitemill, Clonard (The Butcher Block) and other parts of the county. 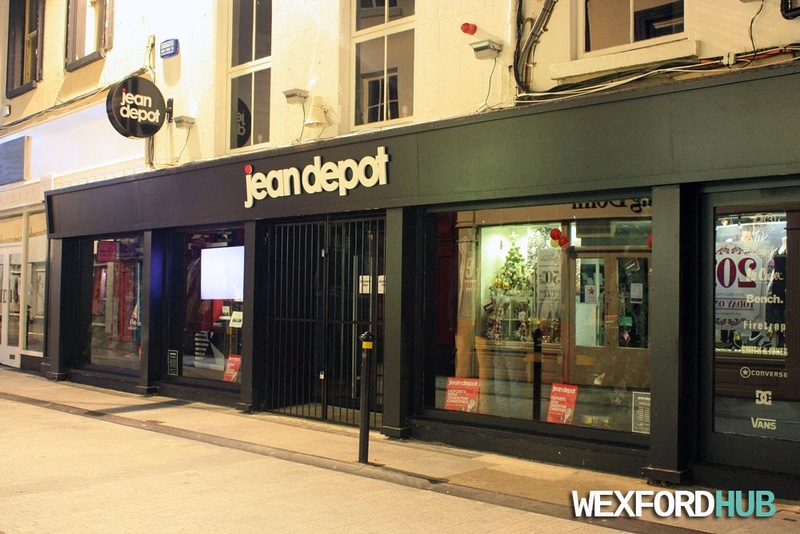 A photograph of the Jean Depot premises on Wexford's South Main Street. This store was only recently opened. 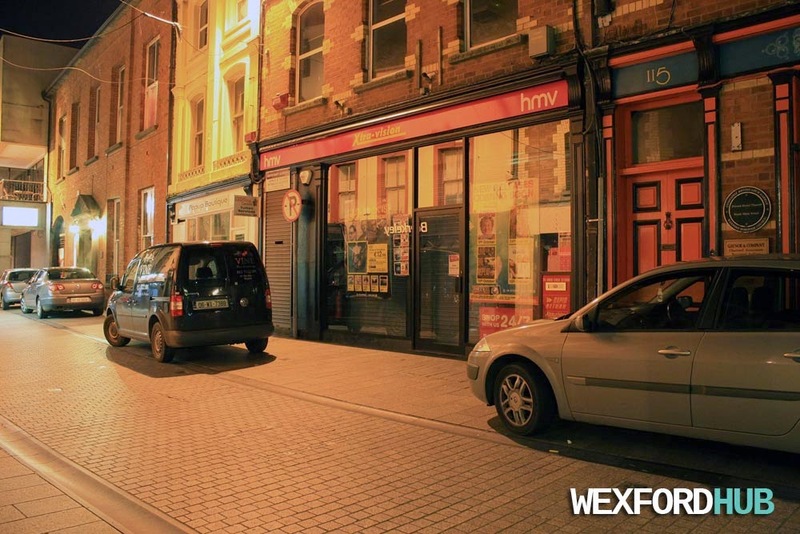 The premises had been lying vacant for a while after the closure of O'Neills. 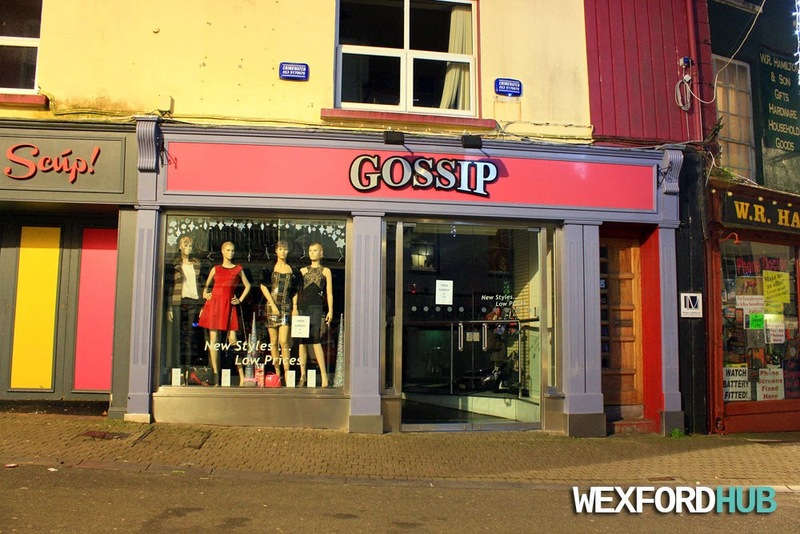 A photograph of the Gossip store in Wexford Town. Gossip is a fashion boutique that is located on North Main Street, up from the Bullring. Update: Gossip is now closed. A photograph of The Clothing Doctor, which carries out repairs and alterations to clothes. 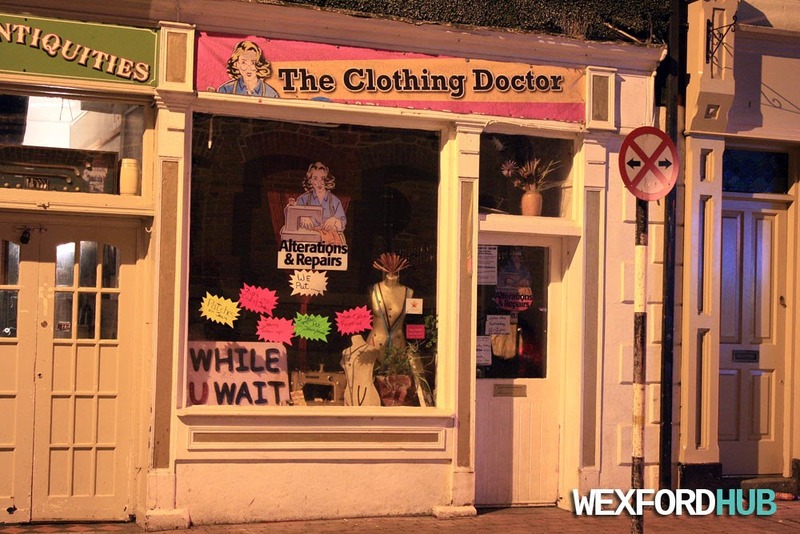 This store is situated on Wexford's Common Quay Street. 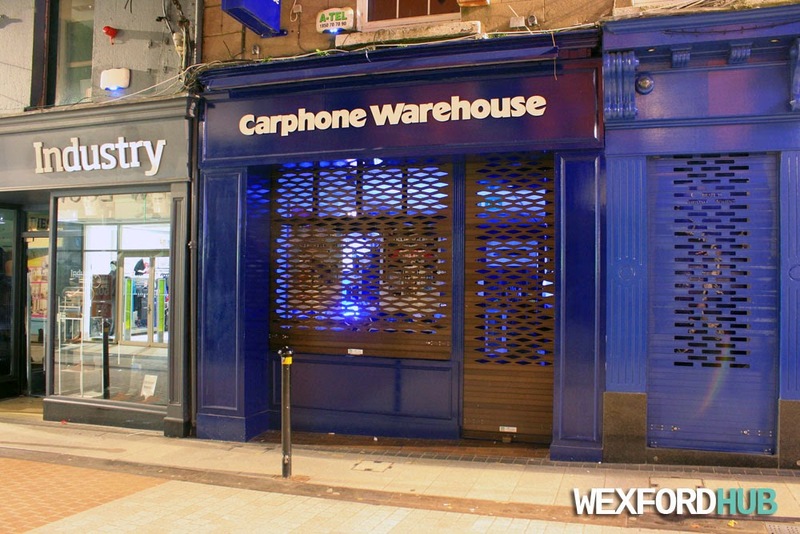 A photograph of Carphone Warehouse, which is a phone shop in Wexford Town. Situated on North Main Street, it sells mobile phones, tablets and other devices such as iPods. 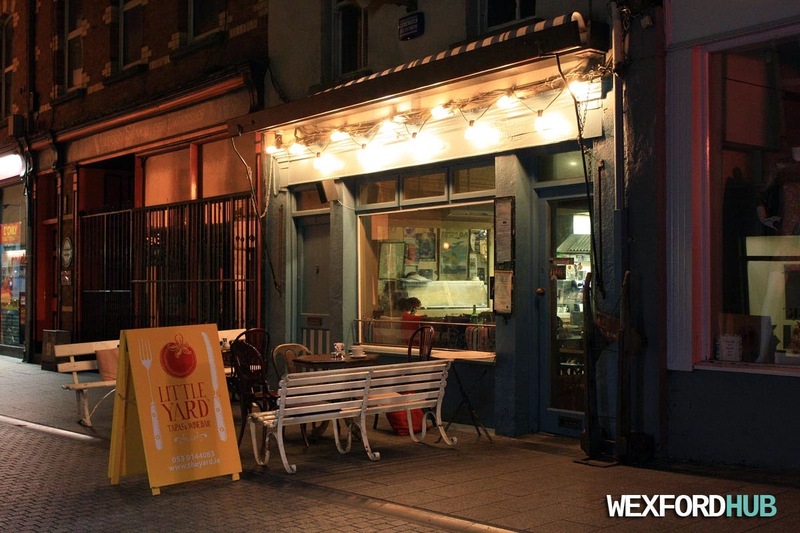 Photographs of The Yard restaurant on Wexford's North Main Street. 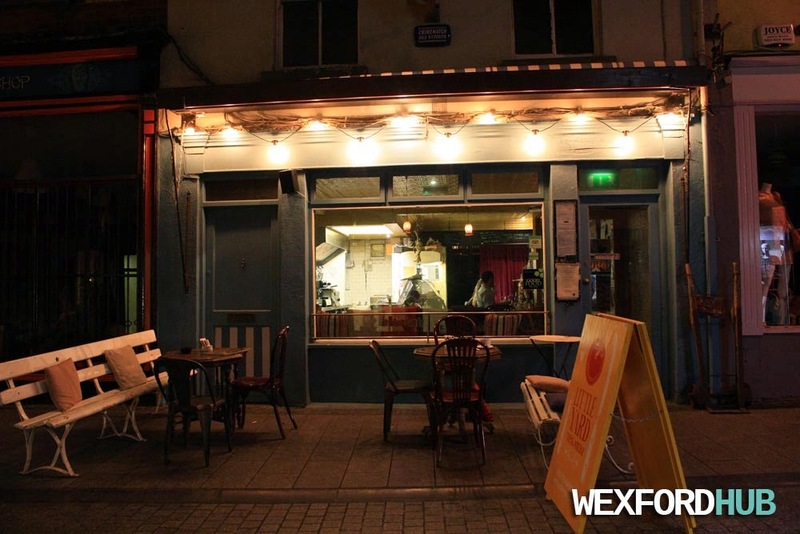 The entrance to the main part of the restaurant can be found on George's Street. This part of the establishment is called "The Little Yard". During the day, it acts as a cafe. At night, it is a wine and tapas bar. 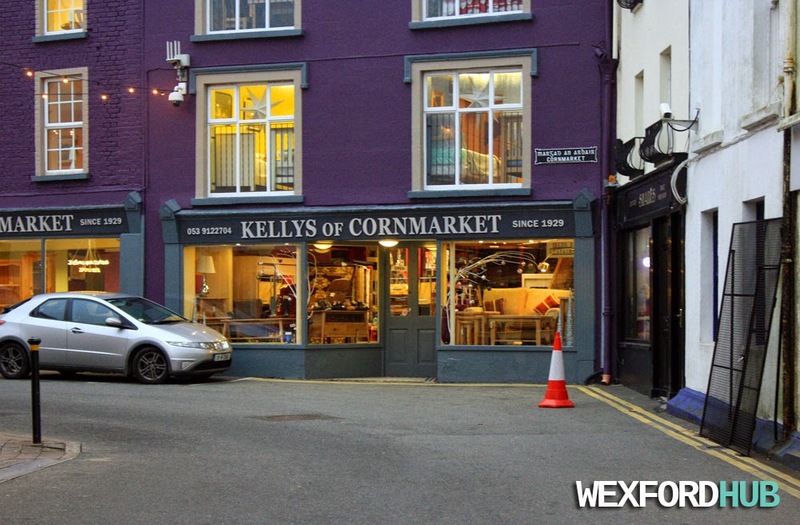 A photograph of Kellys of Cornmarket, which is a furntiture store in Wexford Town town. In operation since 1929. 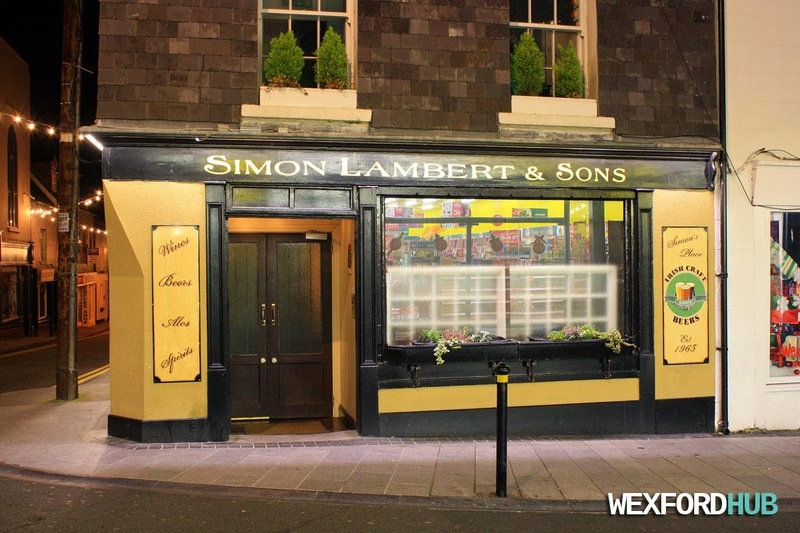 A photograph of the Simon Lamber & Sons pub (aka Simon's Place) on Wexford's South Main Street. 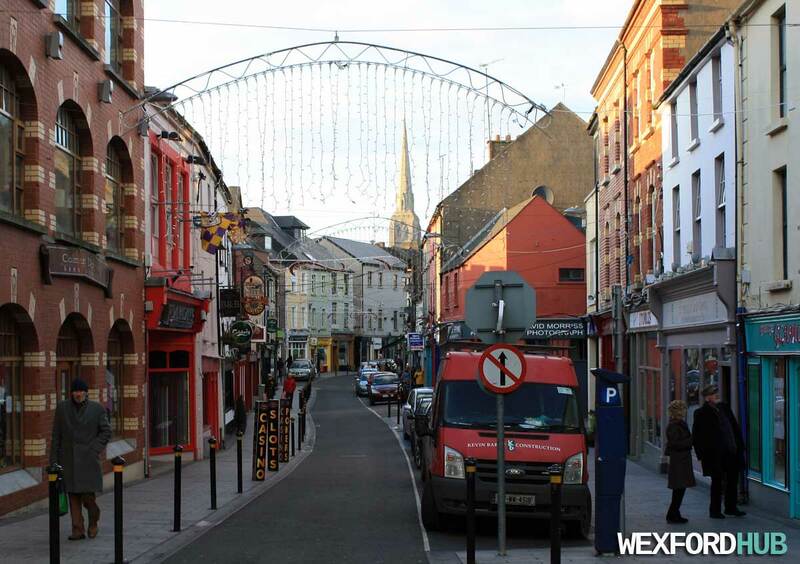 On the left, you can see Henrietta Street. This was taken in front of the new Dealz shop (hence the bright reflective glow). 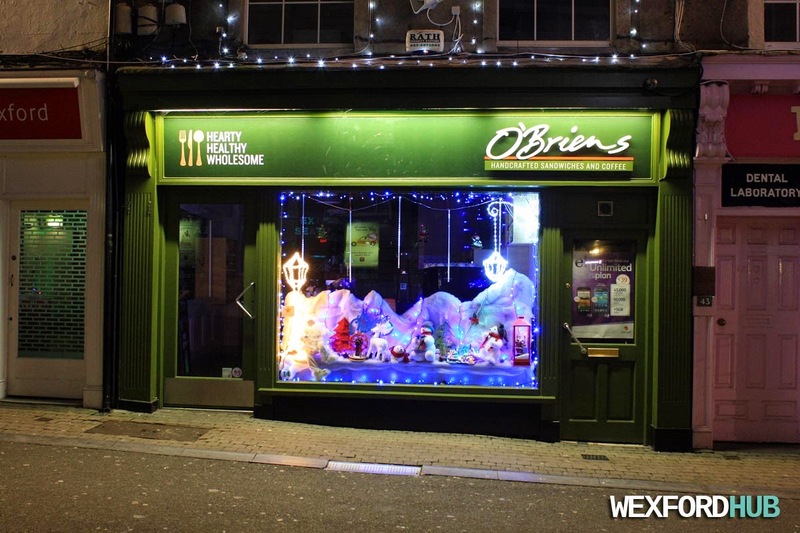 A photograph of the O'Briens sandwich cafe on Wexford Town's North Main Street. 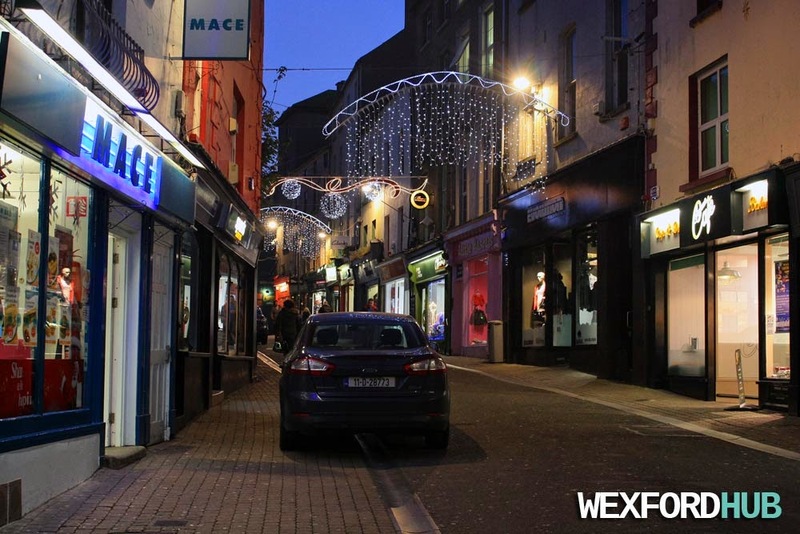 As you can see, this picture was taken during the festive season, when shops were lighting up the main street with their wonderful Christmas decorations! Situated beside Little Rascals and the "Dental Laboratory" (shown on the right). 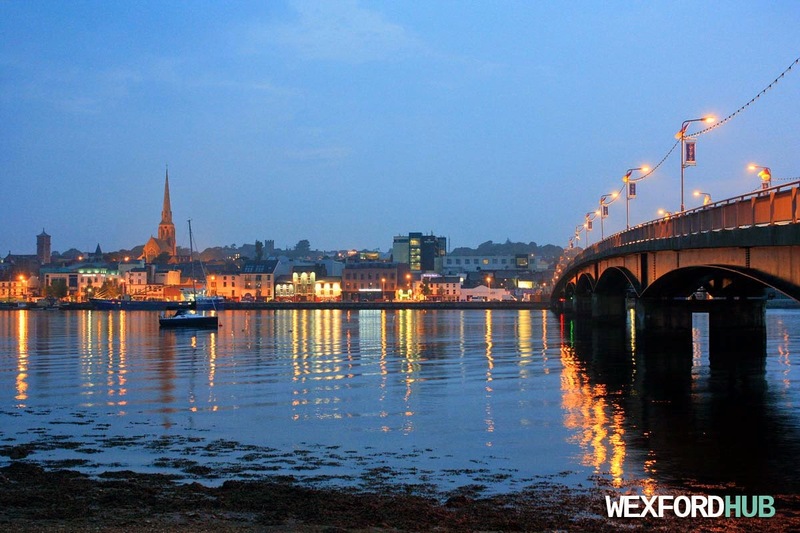 A photograph of Wexford's quay and bridge. This was taken just after the sun had set in Autumn of 2014. 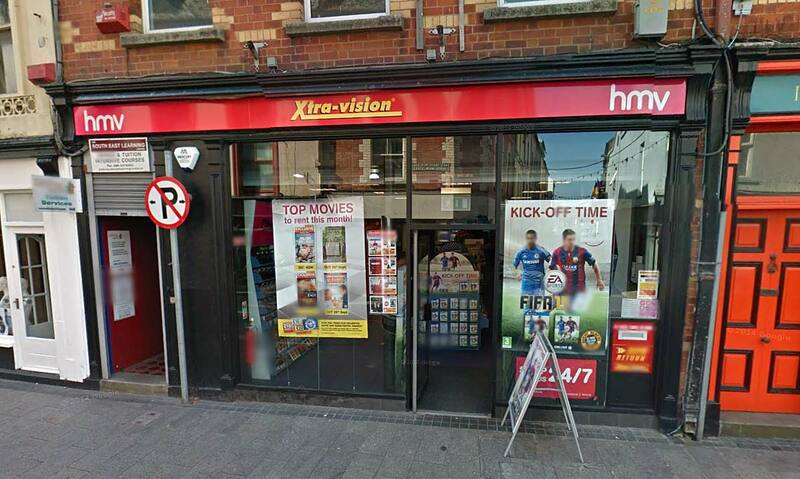 A photograph of the Xtra Vision store on Wexford's North Main Street. Taken in October of 2014. Originally, this building was used as a newsagents / post office. The previous Xtra Vision store was situated on the corner across from Dunnes Stores in Redmond Square, where Nosh Coffee is today. 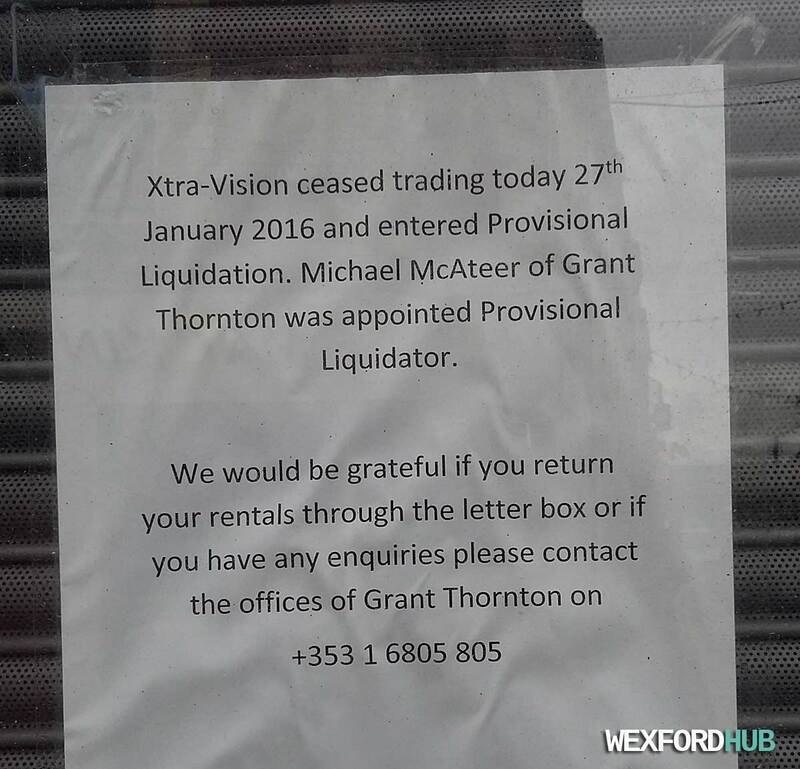 In January of 2016, it was announced that Xtra Vision had gone into liquidation after its owners had declared that the company was no longer viable. Nearly 600 jobs were lost throughout the country. 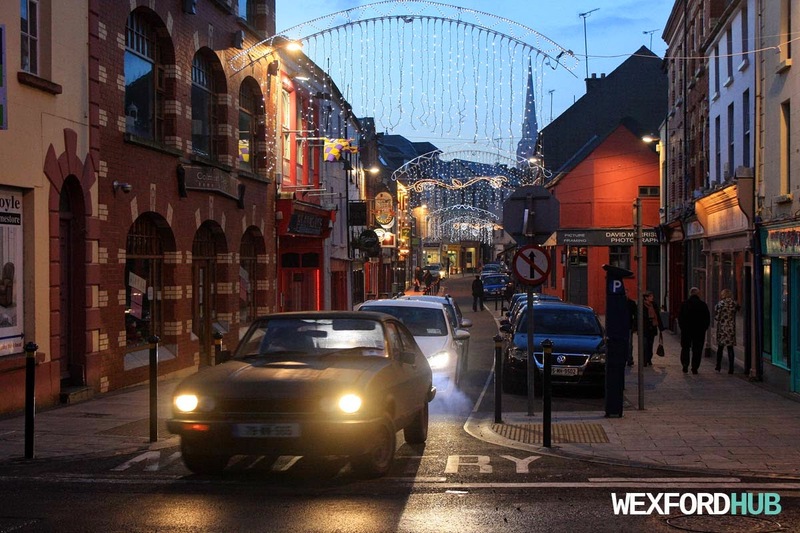 A photograph of Wexford's North Main Street during the festive season, when the town's Christmas lights are on display. This was taken around the corner from the Bullring, outside of the local MACE shop. 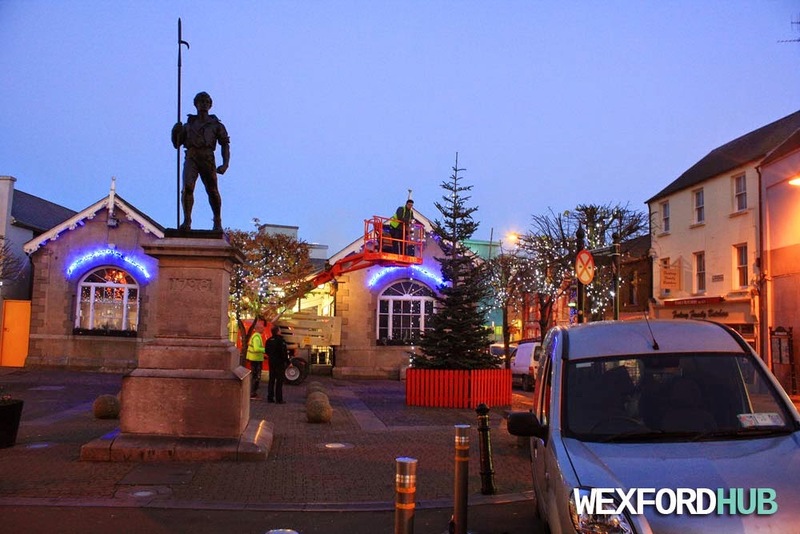 A photograph of the Christmas tree being erected in Wexford's Bullring. As you can see, other trees in the area have also been decorated with lights. 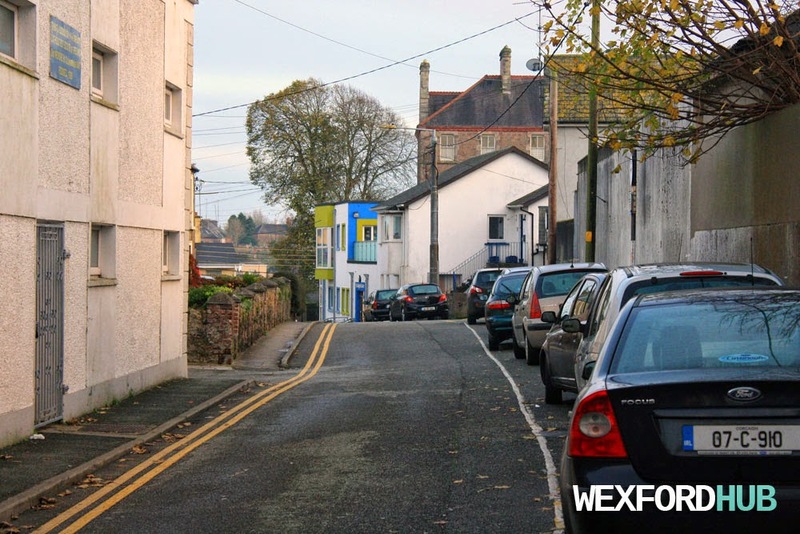 A photograph of Wexford's South Main Street. This was taken in October of 2014, outside of the new Dealz store. 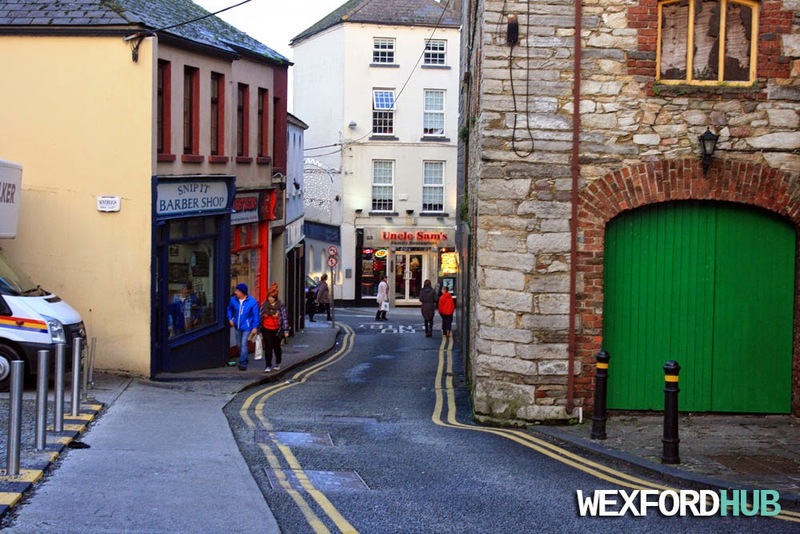 Description: A photograph of Wexford Town's South Main Street. On the left, you can see Megamix, which is across from Heatons. Here is another shot, taken during the Christmas season, when the streets were adorned with lights (snapped just as a Ford Capri was about to turn right onto King Street). This was taken on Sunday, the 28th of December. On the left, you can see the large Colman Doyles Homestores building, which opened in the mid-2000s. 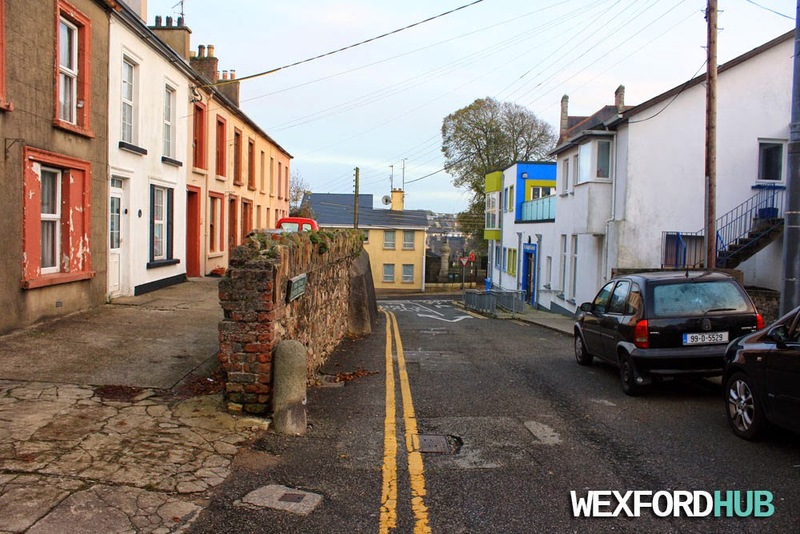 Photographs of Bride Street in Wexford Town. All of these were taken on Saturday, the 22nd of November, 2014. This picture was taken in the direction of South Main Street. On the left, you'll find the entrance to Mary's Lane. Below, you'll see a picture of Bride Street car park. In the background, you can see the side of the Colman Doyle Homestores building. This picture was taken in the direction of Bride Street Church, which is further up ahead. On the right, you can see the entrance to Clifford Street. 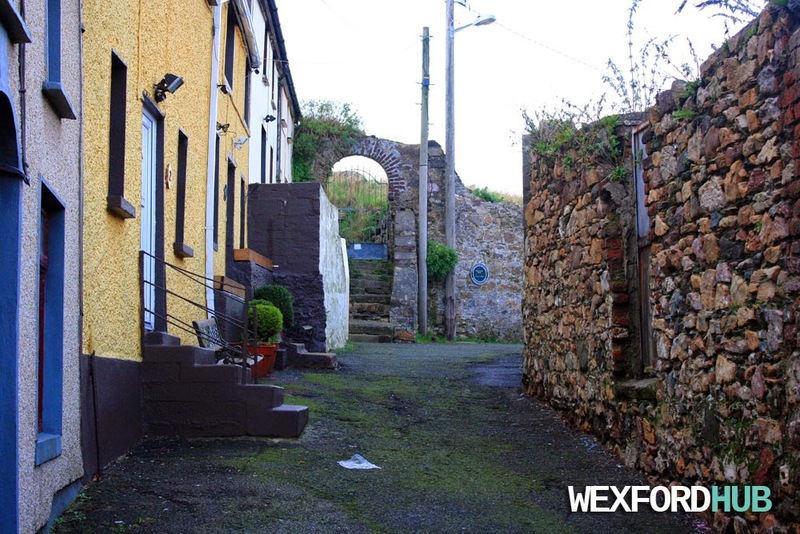 Photographs of Clifford Street and Clifford Terrace in Wexford Town. 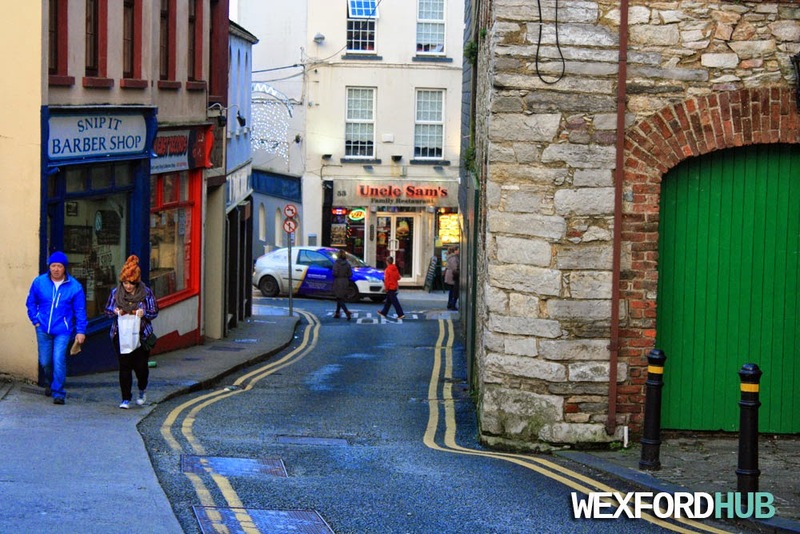 This particular street runs between St. Peter's Square and Bride Street. This photo was taken in the direction of St. Peter's Square. 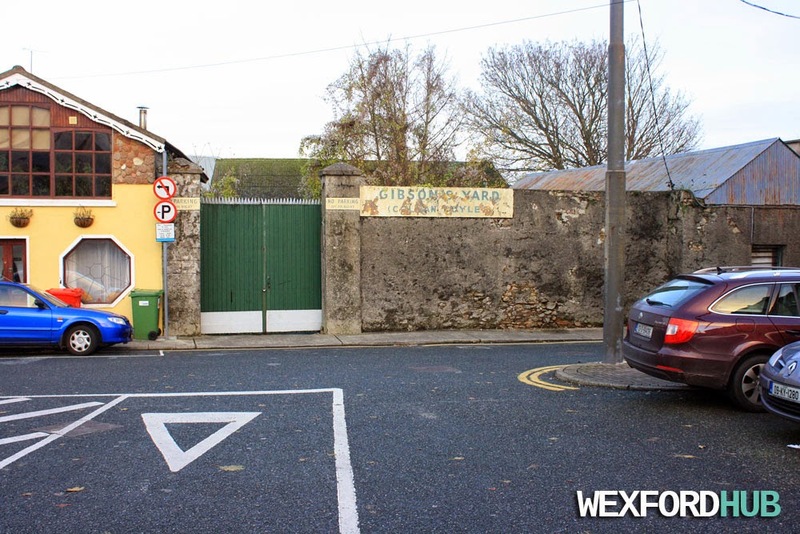 On the right, you can see the building for the Catholic Boy Scouts of Ireland. To the left, you can see Clifford Terrace, which is close to the entrance on Bride Street. On the right, you can see St. Bridget's Centre, which is a playschool / montessori. 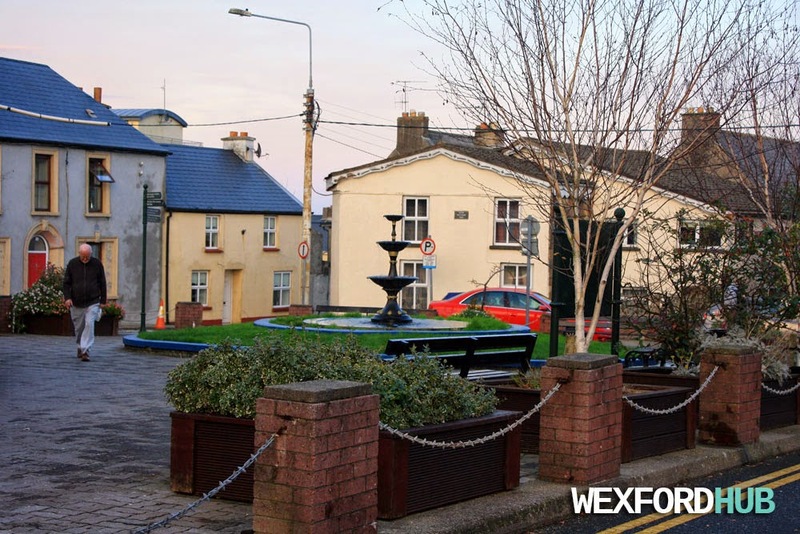 A photograph of Gibsons Yard, which is located in St. Peter's Square in Wexford Town. 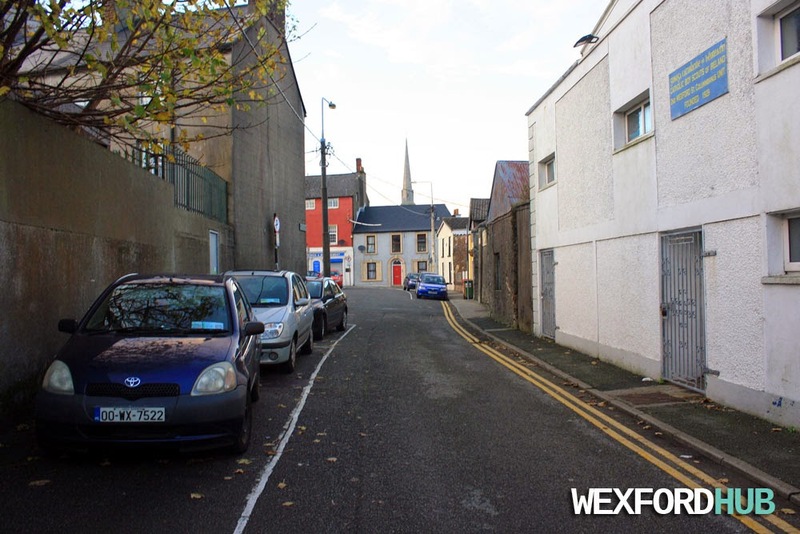 The yard is owned by Colman Doyle and it is situated at the top of Clifford Street. 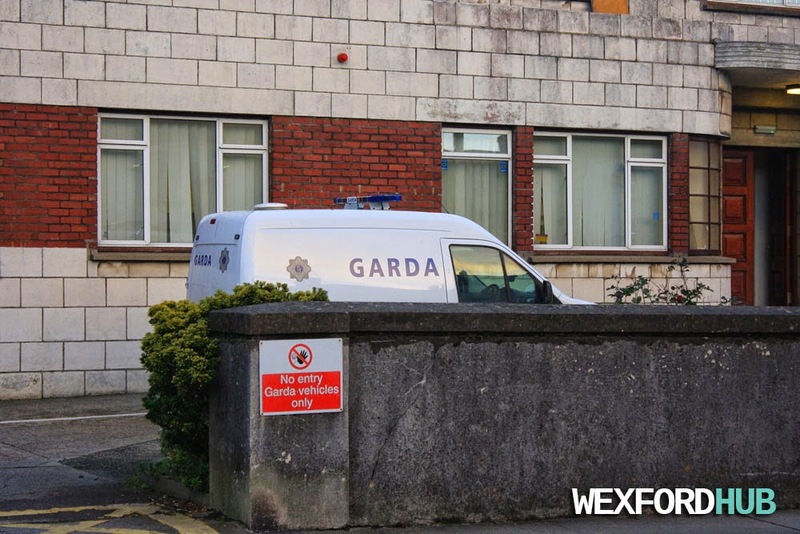 A photograph of the Wexford Garda Station on Roche's Road in Wexford Town. 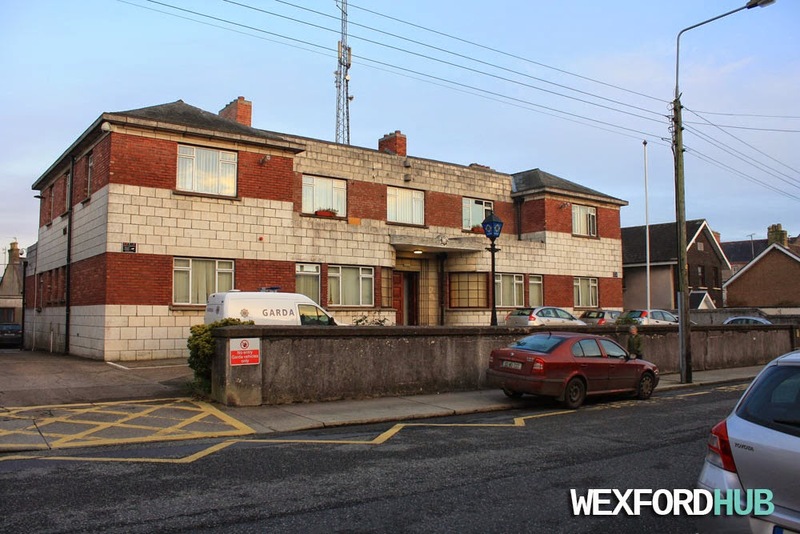 This station is due to be closed in the near future as €25 million is being spent on the construction of a new Garda station. This comes after decades of complaints that the current station is too small and over-crowded to fulfill its current needs. 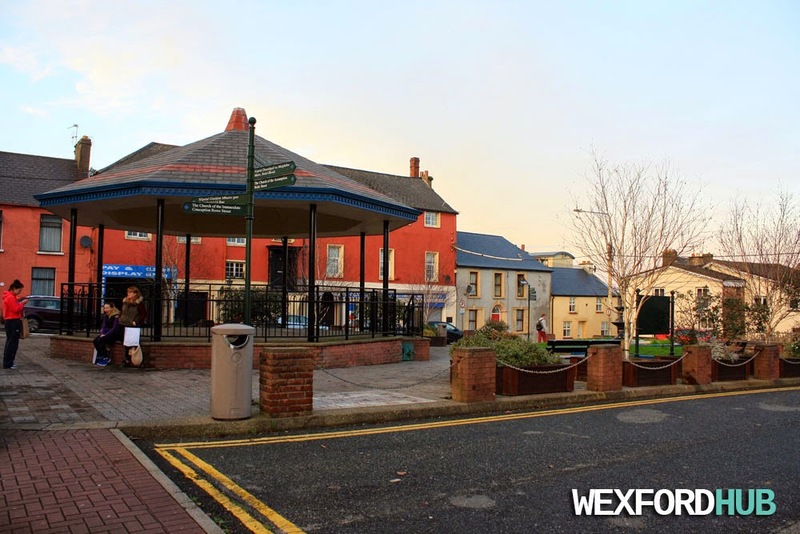 Photographs of St. Peter's Square in Wexford Town, which is located between Roche's Road and Peter Street. A photograph of the water fountain, which is still operational. 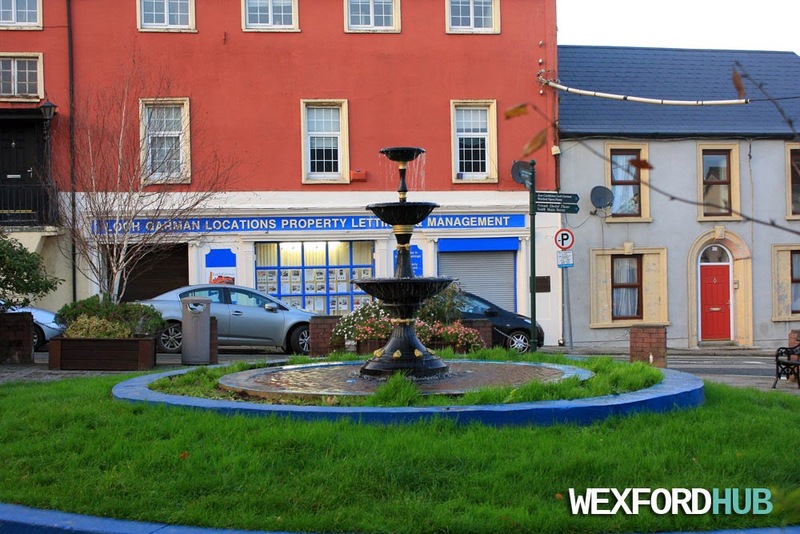 In the background, you can see the premises of Loch Garman Locations, which is a property management company. Here, you can see the iconic bandstand. In recent times, the bandstand was used by local folk/rock band Corner Boy for their music video "True North". All of these photographs were taken in November of 2014. 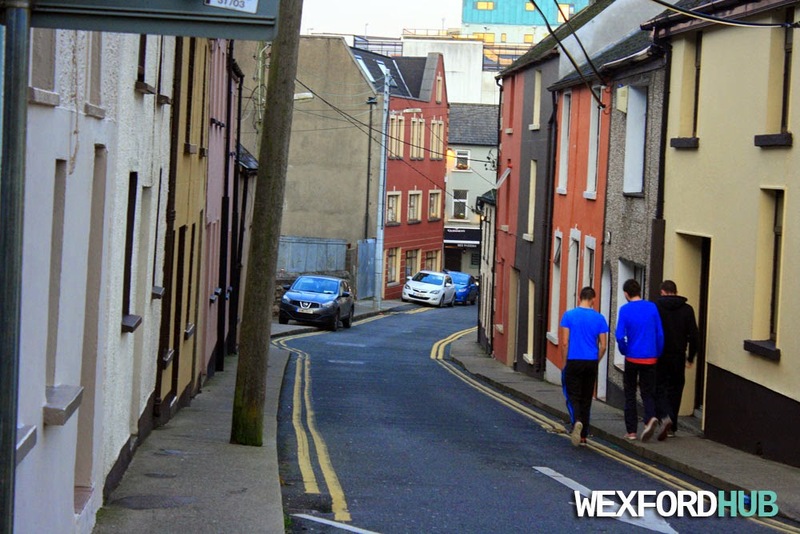 Photographs of Peter Street in Wexford, which runs between St. Peter's Square and the South Main Street. 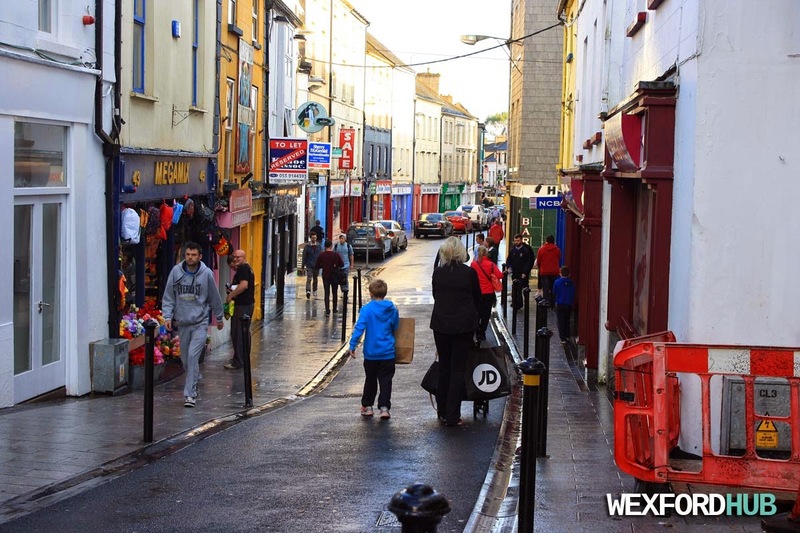 On the left, you can see the Snip It barber shop, as well as South East Records, which is a music store that sells vinyl records. Straight ahead, you can see the South Main Street and Uncle Sams. 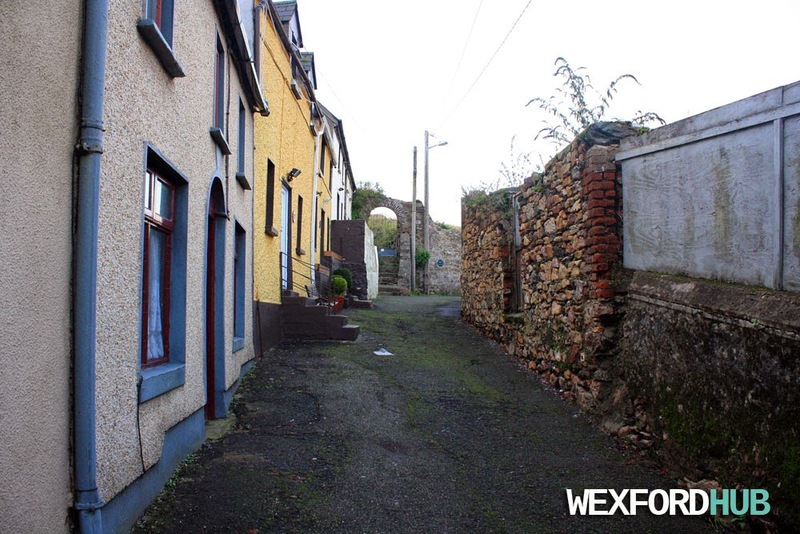 Photographs of Mary's Lane, which runs between Peter Street and Bride Street in Wexford Town. These photos were taken in November of 2014. In the background, you can see the gates to St. Mary's churchyard, which are typically closed to the public. St. Mary's is an ancient Christian site. The lane has three entrances. 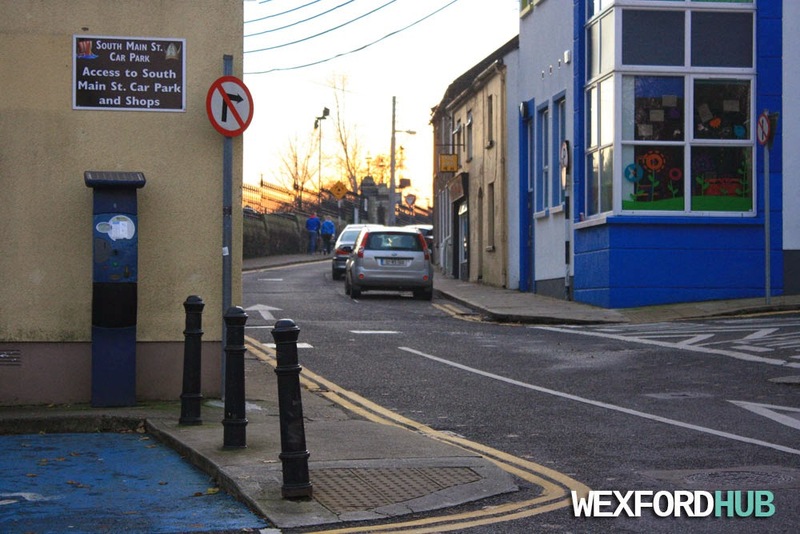 These are located on Bride Street, Peter Street and Wexford's South Main Street. A photograph of The Olde Pound newsagents shop, which was located on the corner between Roche's Road and St. Peter's Square. This shop was very popular amongst the students in some of the nearby schools. This was taken in November of 2014. 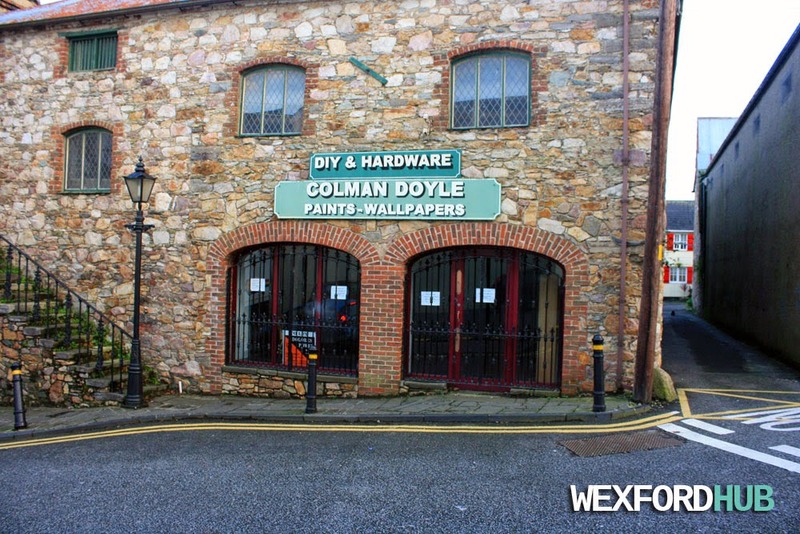 A photograph of the Colman Doyle Paints & Wallpapers store, which was located on Peter Street in Wexford Town. In the past, it was a giftware shop called Gibsons. 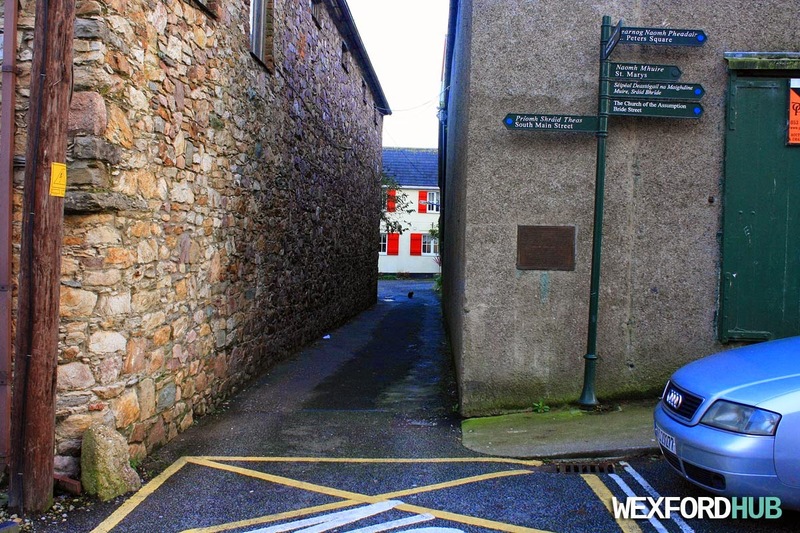 On the right, you can see the entrance to Mary's Lane. 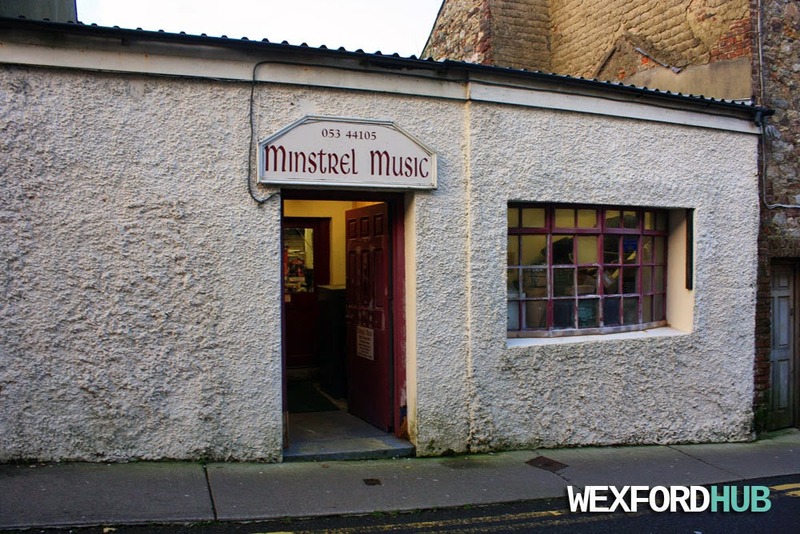 A photograph of the Minstrel Music premises on Wexford's Peter Street. As the name suggests, this shop sells musical instruments and equipment. 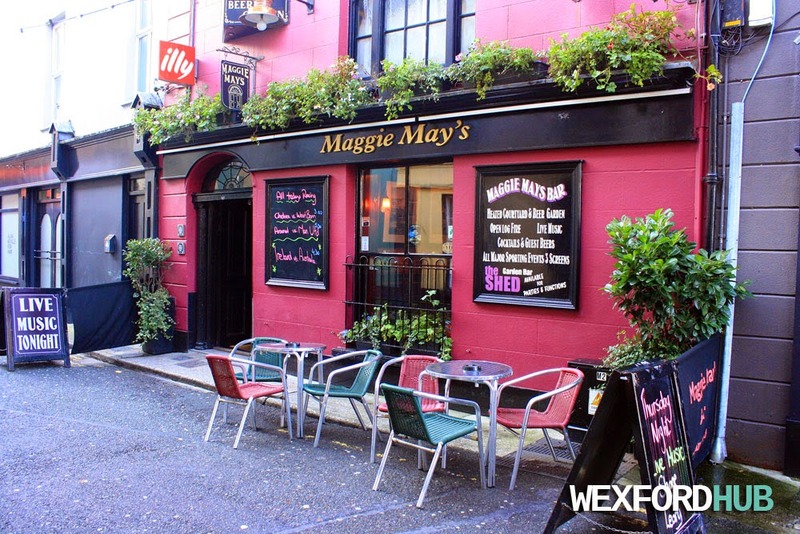 A photograph of Maggie May's, which is one of the most popular pubs in Wexford Town. Maggie May's is located on Monck Street, which is opposite Xtra Vision. This is a popular spot for live music. 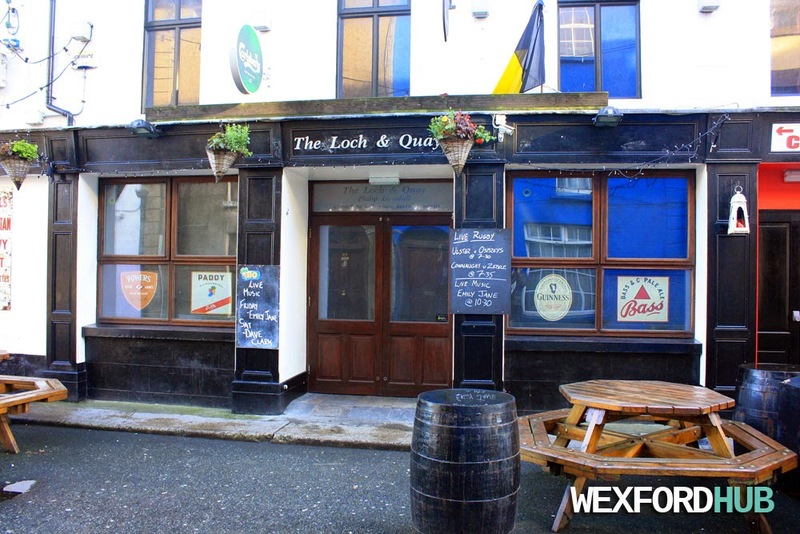 A photograph of the Loch and Quay bar, which is situated on Wexford's Monck Street. This particular pub was previously known as The Thirsty Monck. 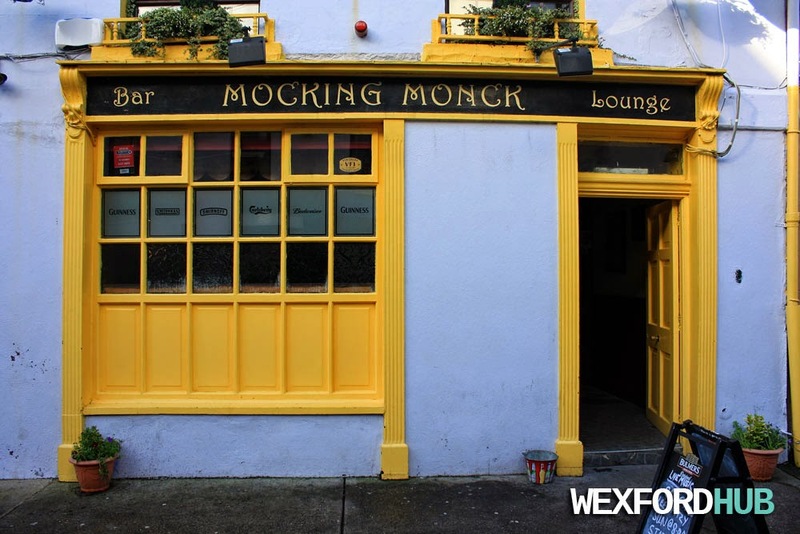 A photograph of the Mocking Monck Bar in Wexford Town. In the past, it was called The Laffan Inn. 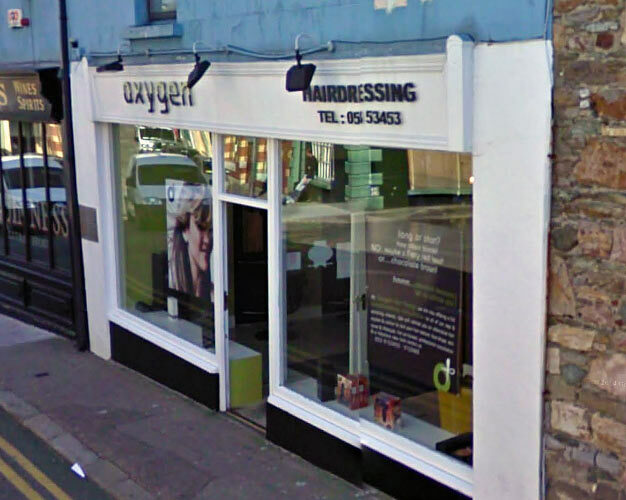 Located on Monck Street. 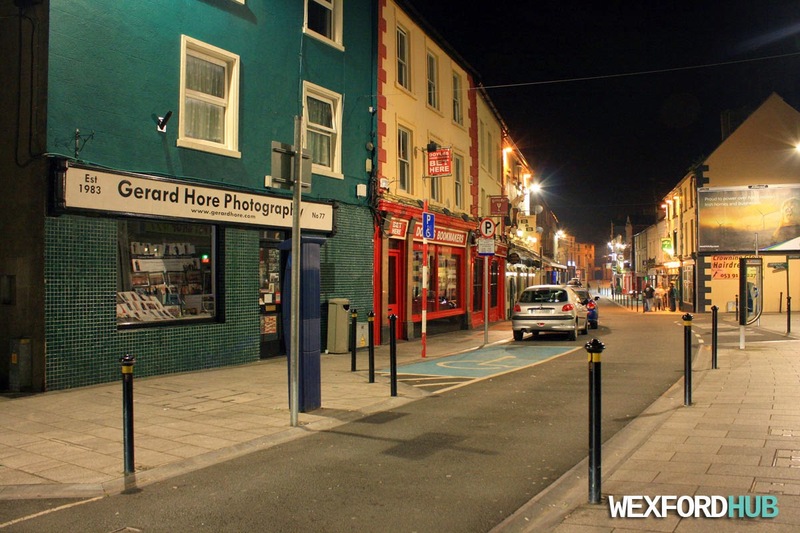 A photograph of The Sky and The Ground, which is an extremely popular pub on Wexford Town's South Main Street. 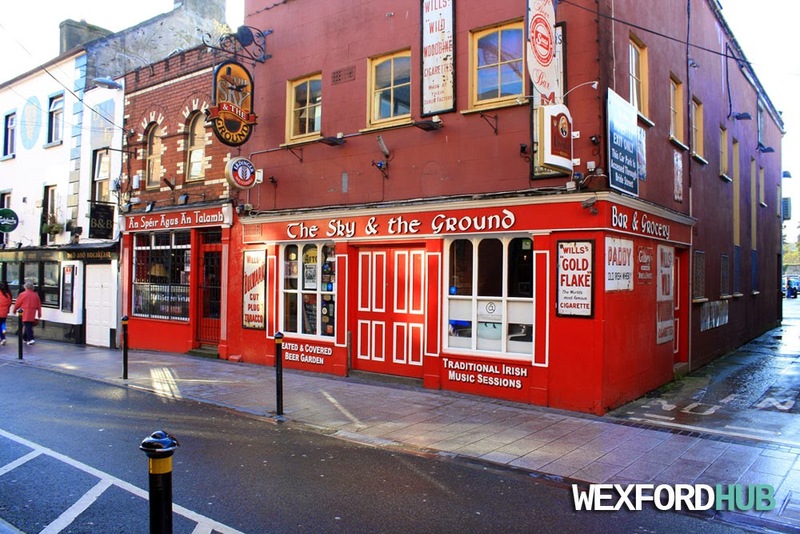 This particular pub is a popular spot for those who enjoy live music and the like. There are two separate floors, both of which have their own music and beer gardens / smoking areas. It is also worth noting that The Sky and The Ground sells craft beers! 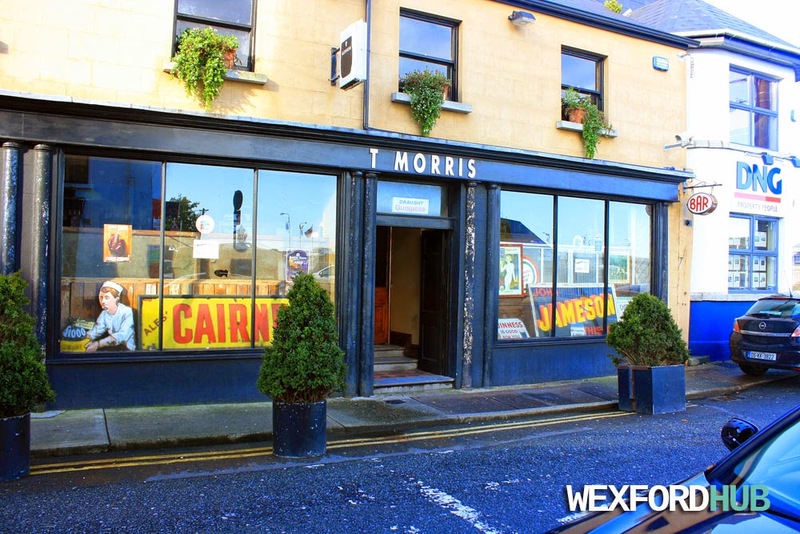 A photograph of T Morris, which is a popular bar that is situated on Monck Street in Wexford Town. In the past, this premises was home to the Dakota bar. 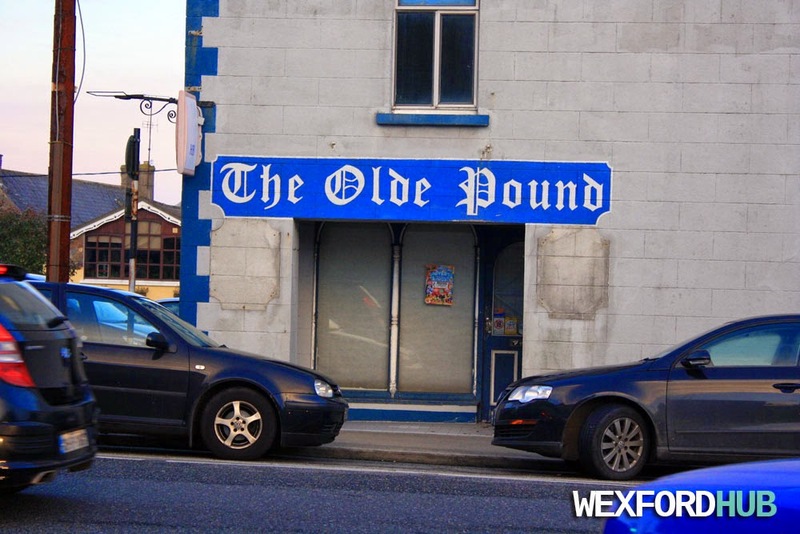 Before that, it was O' Faolain's Pub. 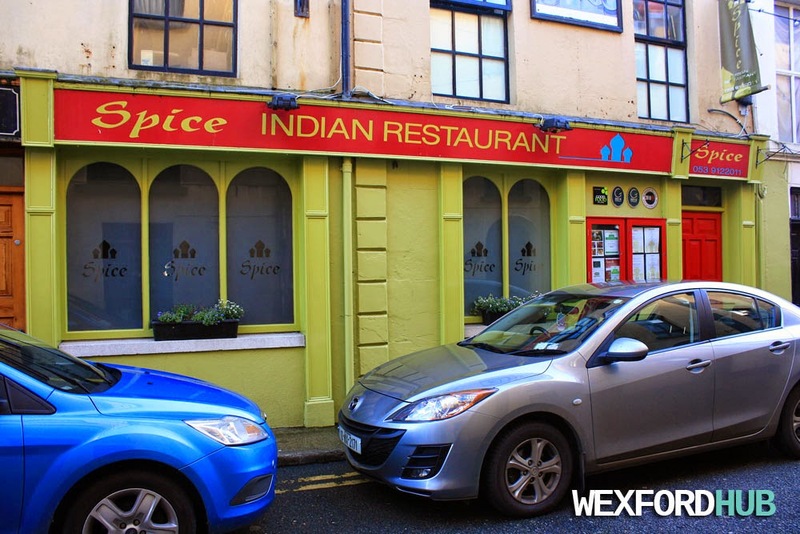 A photograph of the Spice Indian Restaurant, which is located on Monck Street in Wexford Town. 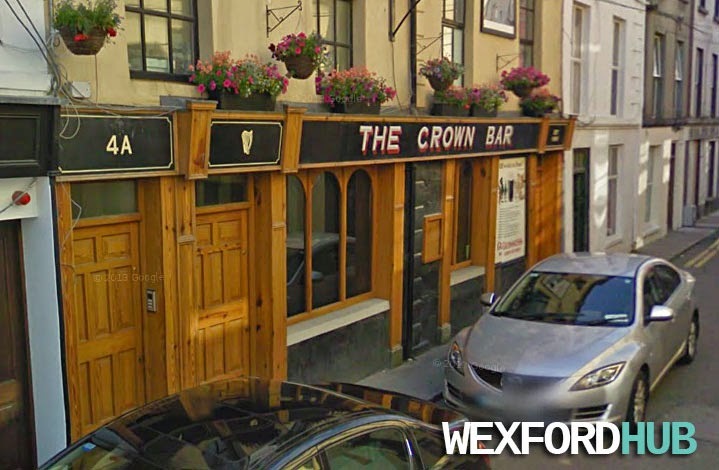 In the recent past, this premises was home to The Crown Bar. 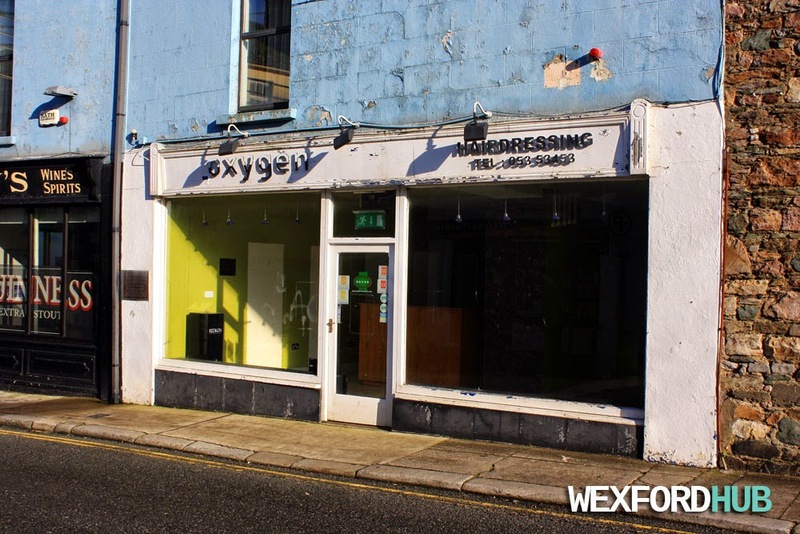 A photograph of the vacant Oxygen hairdressers premises, which is located on Barrack Street in Wexford, across from the Post Office (next to Kelly's Pub). In the past, this was the premises for Maggie Kelly's shop.